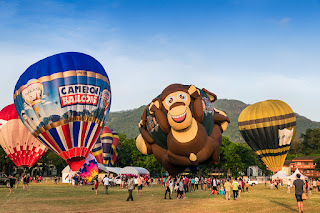 This was my first time seeing the Penang Hot Air Balloon Fiesta as I missed the inaugural year it was held due to other commitments, So deciding to make full use of the day, I choose to go at 7am in the morning. Parking was not an issue as there were many areas that were designated parking lots, and all within comfortable walking distance to the venue which is Padang Polo. 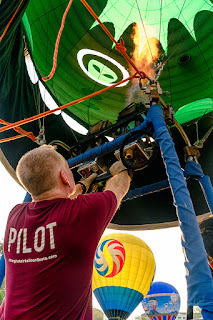 When I arrived, the balloonist were in the midst of inflating the balloons. 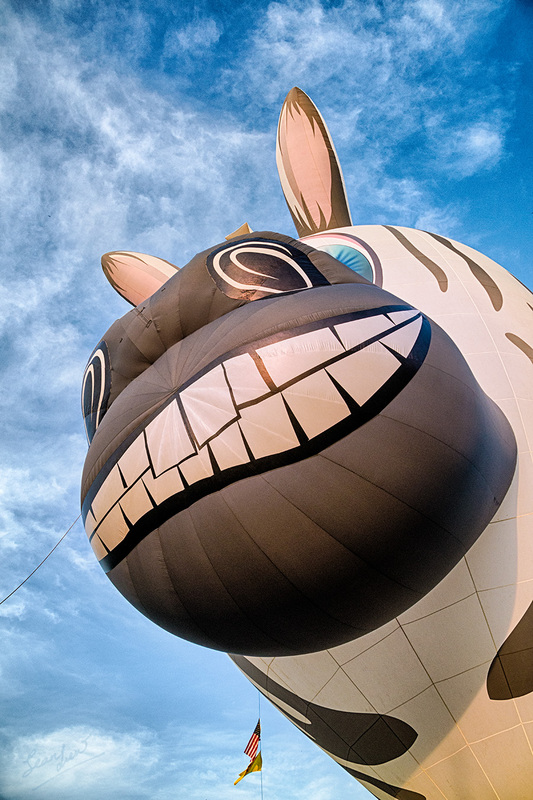 It is amazing to watch this process of transformation; from a crumpled, indistinguishable bundle of fabric and lines they blossomed into love balloons, some with interesting shape such as an alien rocket, ice-cream, three wise monkeys and an oversized zebra head! 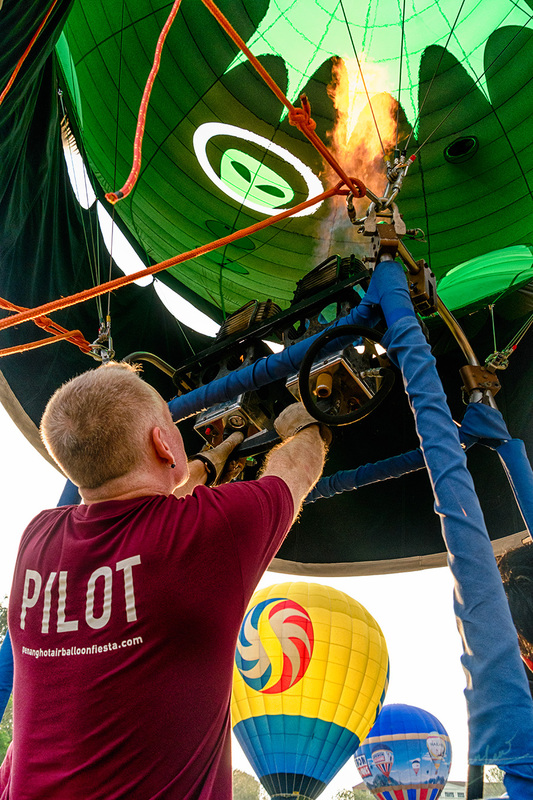 Entrance to the grounds is FREE but tethered rides and cold-inflation balloon envelope walk-in are ticketed but are very reasonably priced (click here for pricing). Firing up the ice-cream balloon. Alain Bard firing up his Alien Rocket Special Shape Balloon. Errr.... I think there are aliens looking at us. Mr. Z the oversized zebra head. The middle one is the three wise monkey balloon, which was very popular with visitors. The balloons were then deflated at around 9.30pm due to the weather, and I spend some time browsing the stalls and looking at the various items for sale around the show grounds. Only the tethered rides balloons were still up and looking great with Penang Hill as the backdrop. 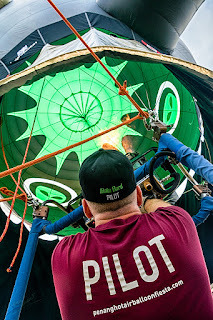 Alas, the tethered rides were sold out whilst I was busy taking photos of the inflation process, so I made up my mind I will come back for the Night Glow show. 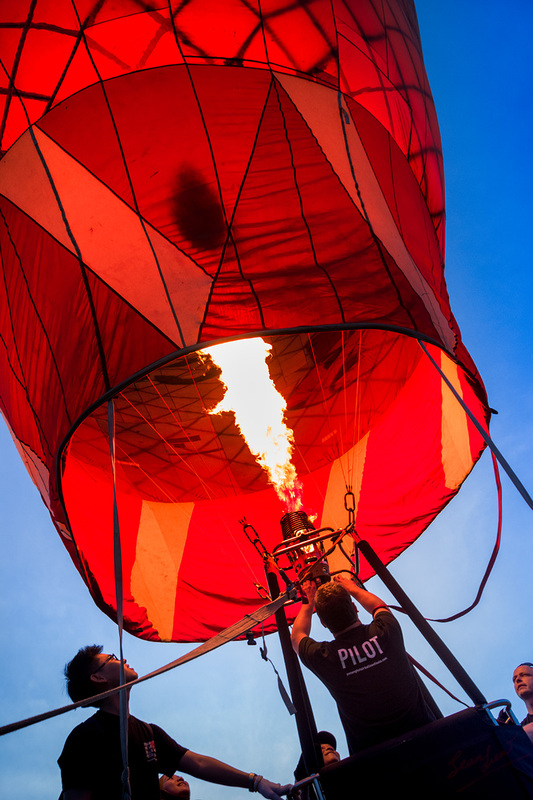 The evening started with the balloons being re-inflated whislt we waited for the VVIPS to arrive for the official opening of the Penang Hot Air Balloon Fiesta 2016. 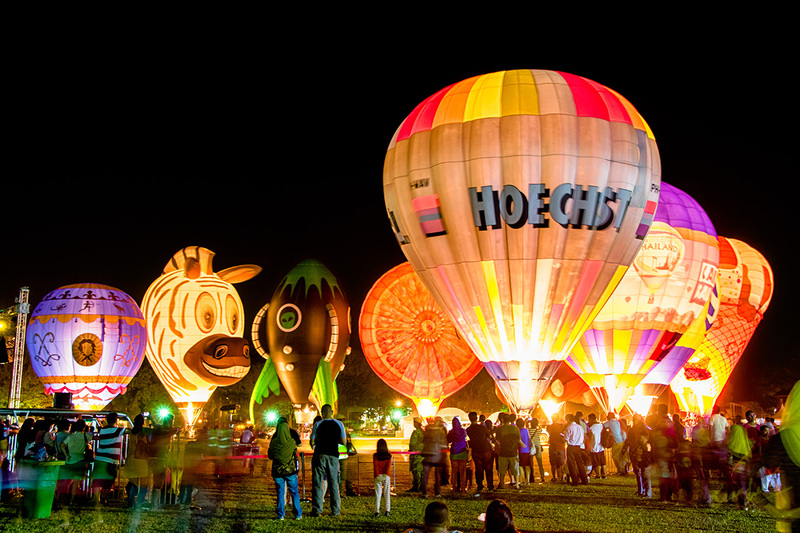 After some stage performances, the long awaited night glow really swept visitors breath away, with the balloons putting on the burners that illuminated the balloons beautifully. This was definitely something worth waiting for. To cap it all, there was a fireworks display at the end of the Night Glow show. On the back row from left to right the special shape balloons are: the Montgolfier replica balloon, Mr Z the oversized zebra head, Alien Rocket, Orange, Three Wise Monkey (only partly visible) and Ice cream. So for those who missed it on the first day, there is still tomorrow (10th February). 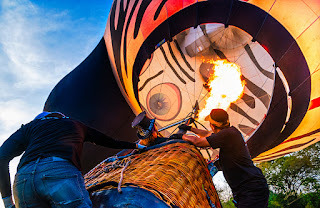 My advice is to wither go early, watch them inflate and be exposed to how they do it, and then enjoy the other activities on site, or go lin the evening and stay for the night glow. If possible, do both, and get the best out of this well-organized event. It is worth your time to catch it. Kudos to the organizer AKA Balloon, the Penang state government and all involved, for this is a very well put together event and I think everyone in Penang should not miss. Dah lama teringin nak naik hot air balloon belum kesampaian mimpi itu. Yang dekat Putrajaya buat pun tak sempat nak pergi lagi bawa the kids jalan-jalan.